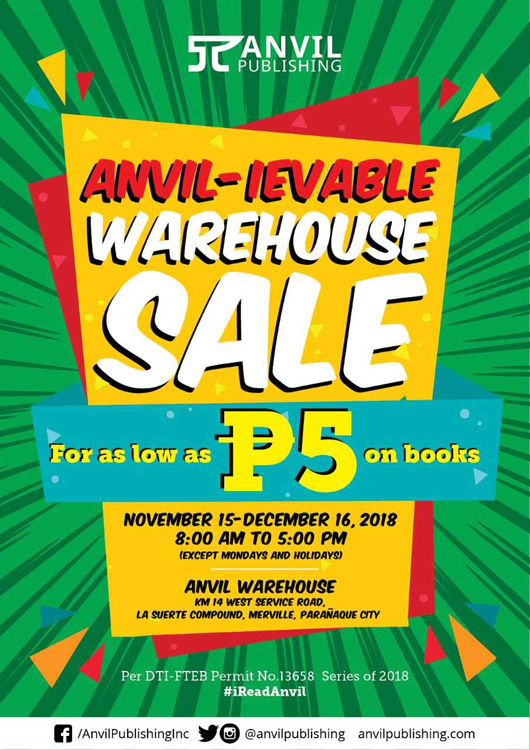 (SPOT.ph) It looks like Christmas came a month early for book lovers because Anvil Publishing is having a Warehouse Sale from November 15 to December 16 (except Mondays and holidays), from 8 a.m. to 5 p.m., at the Anvil Warehouse located at KM 14 West Service Road, La Suerte Compound, Merville, Parañaque City. Ready your wallets (and your bookshelves!) because you can score books for as low as P5! Take your pick from their wide range of genres like fiction and literature, cookbooks, textbooks, children's books, history books, reference books, Spark Books (romance), Pride Press (LGBT titles), classics, poetry, et cetera. Plus, you can get a 20 percent discount on all regular-priced books! 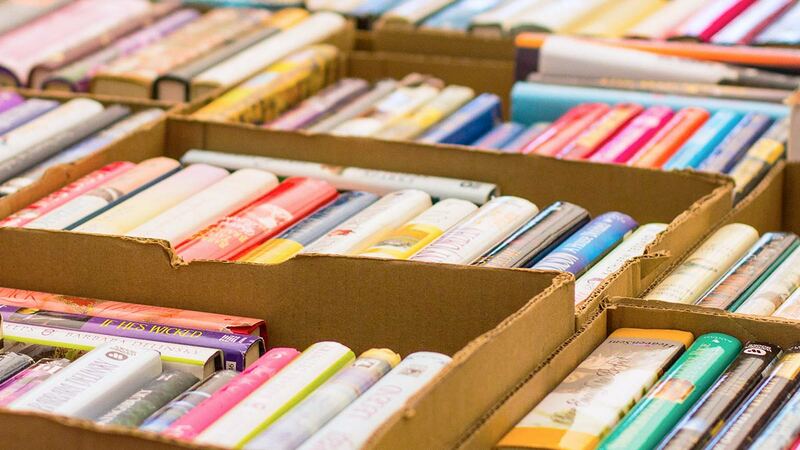 Now you can do some serious book shopping minus the guilt. We recommend going early to avoid traffic and make sure to bring your own eco bags. Note that since the location is within a compound that enforces a dress code, avoid wearing slippers, sando, or shorts. For more information, log on to Anvil Publishing's Facebook page.